Frankie was a Daddy’s Girl from her first day on this Earth. She will do things for him that she will not even entertain for me (like poop on the potty! Twice!). 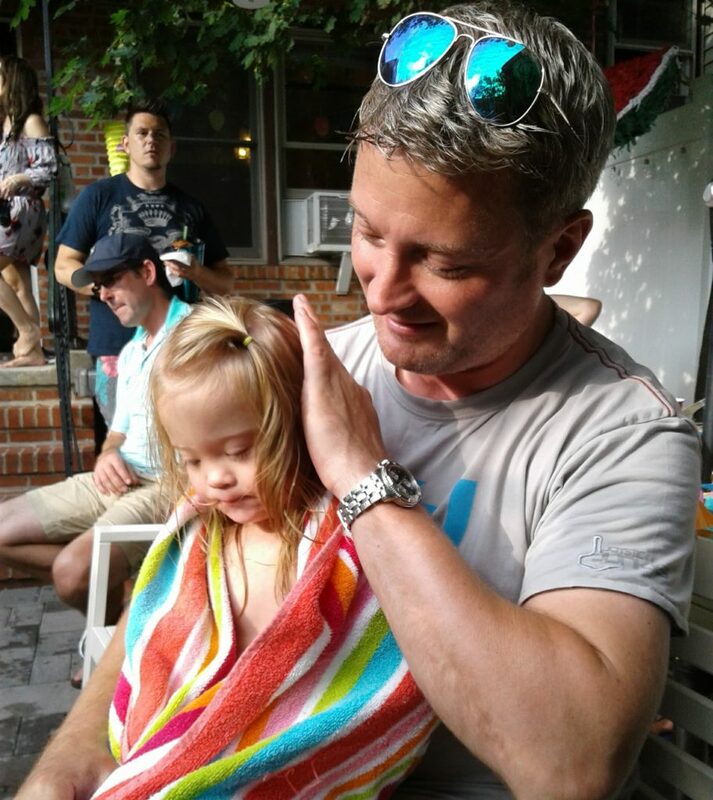 Among her first words was a breathy, coy “Dada!” and her blue eyes sparkle just a little more when he’s around. And the feeling is mutual. He is definitely not a warm and fuzzy guy, but he visibly melts when she runs to him. I have seen his edges soften since she was born. Even other people have noticed that he’s a real softie on anything pertaining to Frankie but he’s not a pushover either. He gives her just the right amount of support to ensure that her accomplishments are her own. His reaction to her diagnosis was unflinching, total acceptance. He never once doubted that she would be the star that she is and he was my rock through the early dark days. I sometimes actually feel a little jealous of their relationship since losing my own Dad in January, but I’m so grateful that they have such a special bond. She already knows how special Daddies are.